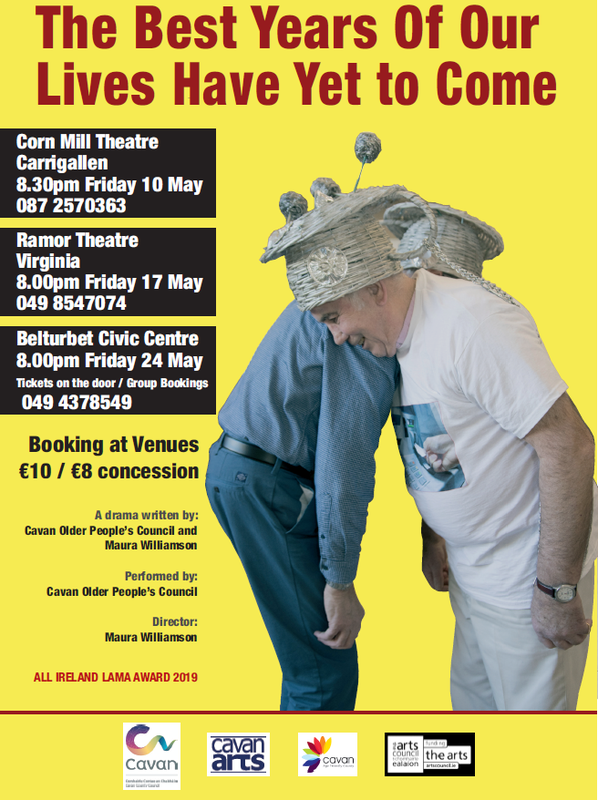 This is a moving and hilarious theatre piece written by and for Cavan Older People’s Council with the support of drama facilitator and director Maura Williamson. The drama captures the richness of older people’s experiences and allows the audience to understand the issues they face in negotiating a range of everyday circumstances. The performers take us through a number of scenes, giving us an insight into their perspective on life as an older person in today’s society. This ‘Age Friendly’ social commentary uses humour to point up instances of older people’s unique perspective on the world. The Older People’s drama project won the 2019 All Ireland Community and Council awards for best community initiative and is on tour in 2019 due to popular demand following successful performances in 2018.